Couple of our readers saying us that they are receiving notice from AT&T on tethering data plans. 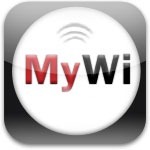 The users of MyWi the popular jailbreak app that allows you to tether your data plan, receiving warning text messages and emails from AT&T to update their data plan to the official tethering plan. AT&T sends the text messages on which they are telling about their official tethering plan. Also AT&T sends email to MyWi users to update their data plans to unlimited 4 Gb plan before 27 March, on which officially they have option for data tethering, if they didn’t update their plans and still tethering data plans than their data plan automatically changes to 4GB. According to the users, it seems that this messages is only sent to those users who were currently on Unlimited Data package. This time its not clear how AT&T detects that users are tethering their phones.